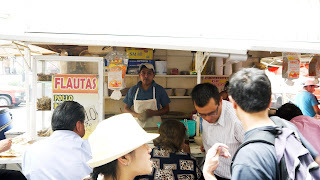 Torta stand nearby the Frida Kahlo museum in Coyoacan. 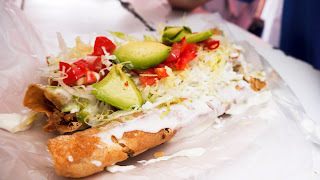 Why can’t we have more torta shops instead of Subway at home?? 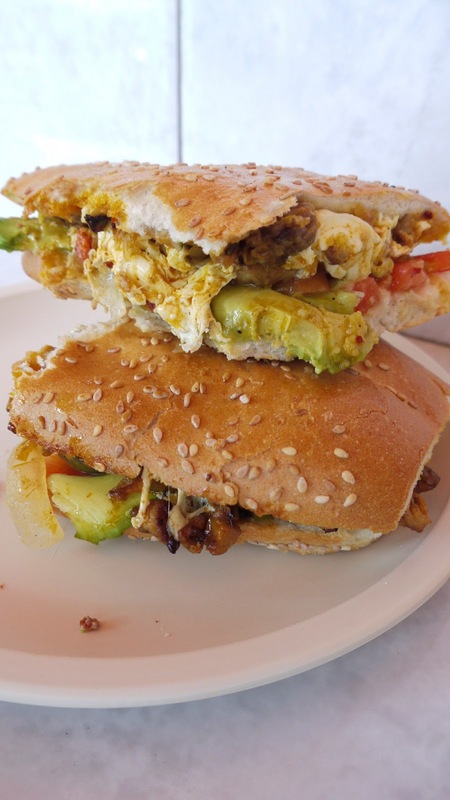 My Al pastor with avocado torta, it is as delicious as it looks! The avocado tasted amazing on with the pork. 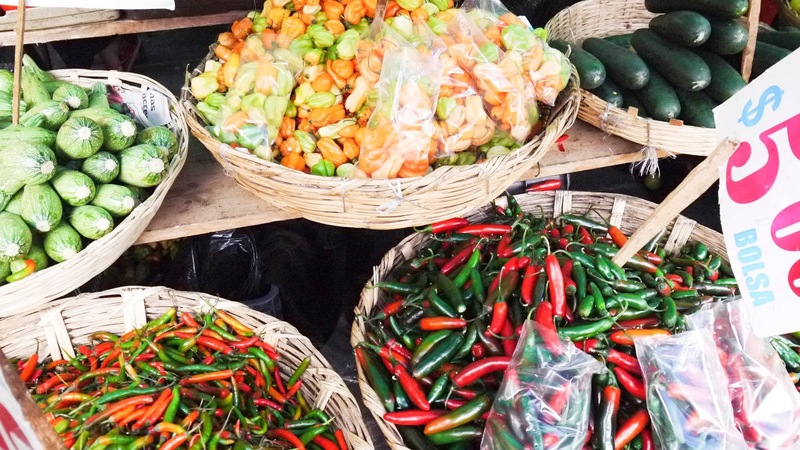 Awesome market we found after our not so awesome boat ride in Xochimilco. 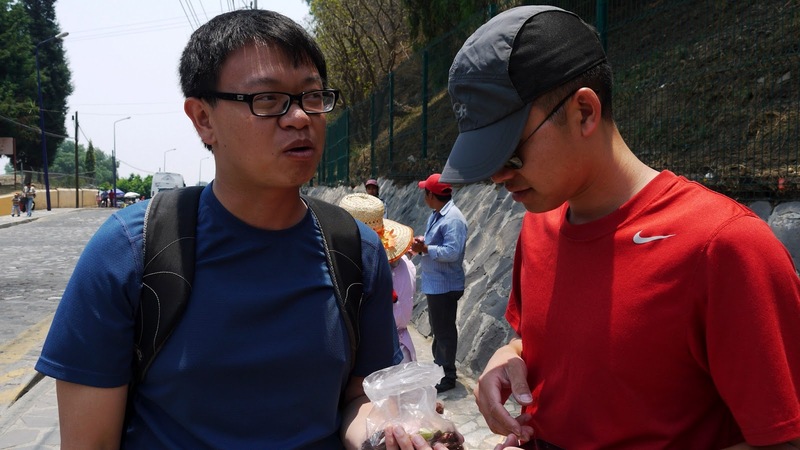 We found a street vendor selling jamicha. The kart has all sorts of condiments for your jamicha, when in doubt, say yes to chili and lime toppings. Tlayuda purchased for 20 pesos. 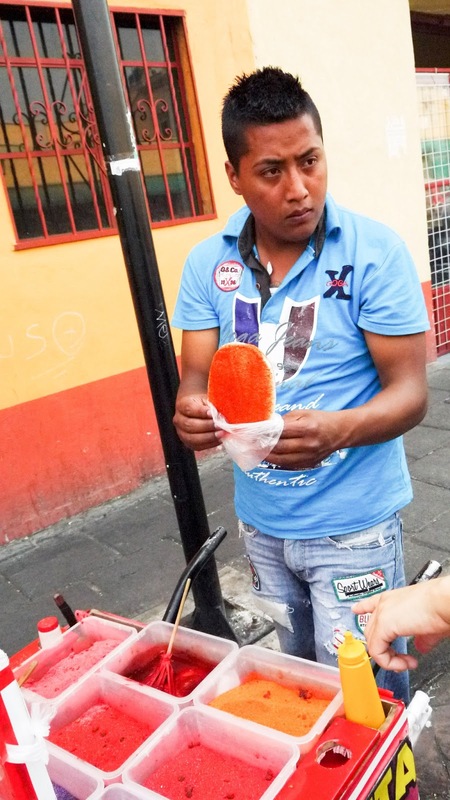 We had saw a little girl selling it in front of the Zocalo and suddenly lunch was calling our names. 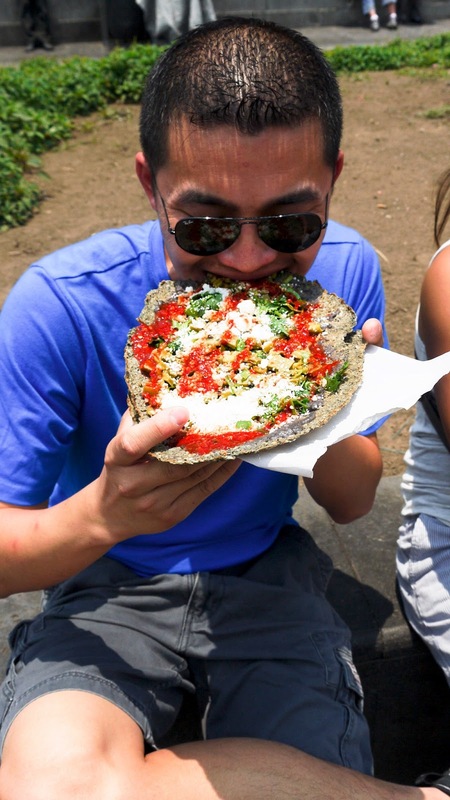 Tlayuda is basically a giant hard shelled tortilla topped with bean paste, roasted red peppers, cilantro and queso (cheese). We’ve heard pretty good things about these snacks, unfortunately the one we had was only mediocre. Eating out every meal when traveling can get tough, this was especially true for us since we cook at home most of the time. After a late lunch on the third day, we decided to stop by the grocery store to pick up some food for a light dinner. 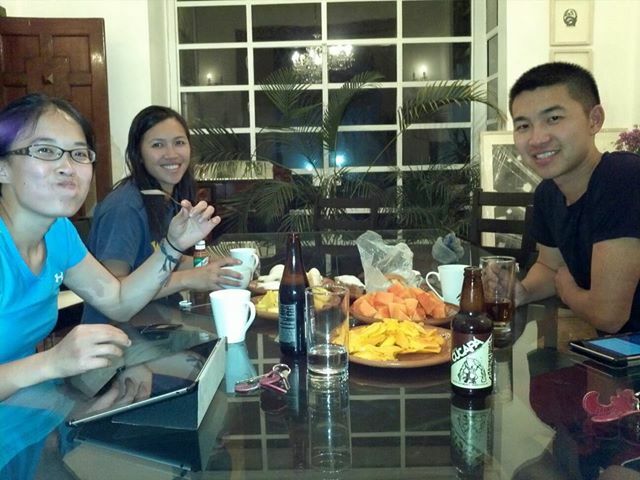 We ended up getting beer, fruits and desserts. Fruits are healthy… right? After we ordered the food, the owners brought us back to a seating area hidden deep inside the market. We were excited to try the food and it did not disappoint. The mole tasted rich and the chicken, tender, we just wished there was more meat on the chicken! We also ordered the chicken posole which Lisa craved for all week. Unfortunately for Louis and Lisa, the raw vegetables on the posole caused a bad case of travelers diarrhea. 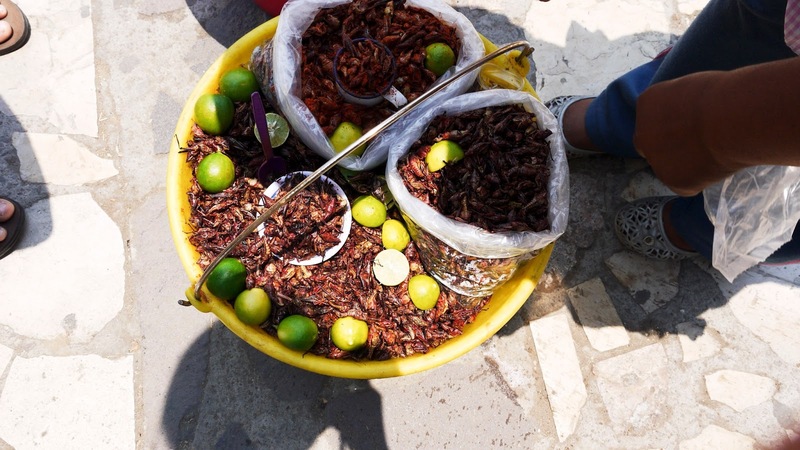 Chapulines (Grasshoppers) outside of the pyramids in Chlula. Again, lime and chili for flavoring is the way to go. 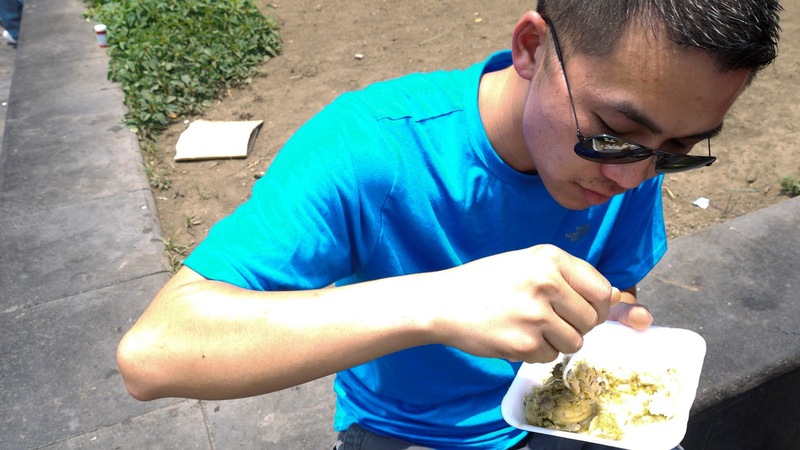 Edwin’s facial expression after trying the chapulines. If you can get over the fact it’s a grasshopper, eating it should be no problem. They really just tasted crunchy and the flavor it’s been marinated in. 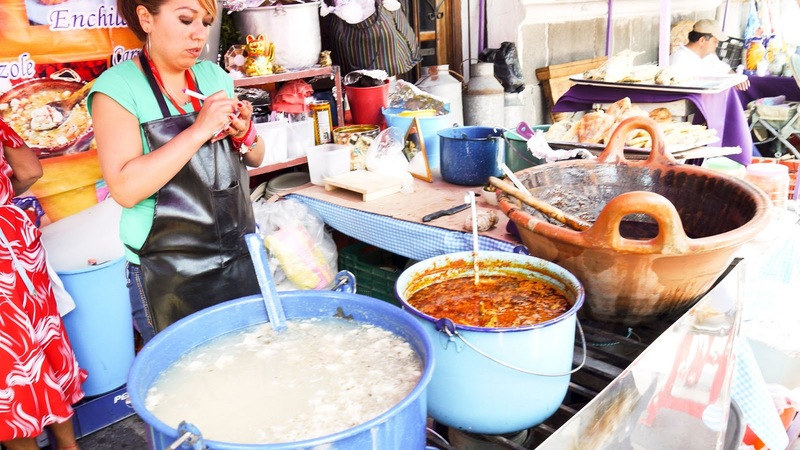 Right off the metro station Chilpancingo there is a huge variety of street food in between Insurgentes and Baja California. On Calle Chilpancingo, we decided to have flautas for lunch. Flautas in Spanish literally means flute, which it resembles prior to adding on the condiments. It is a deep fried tortilla filled with meat in the middle(we had a choice of chicken or beef) and served with salsa tomatoes, avocados and some sort of creme. Believe it or not, we were a little taco-ed out by our seventh day in the city. 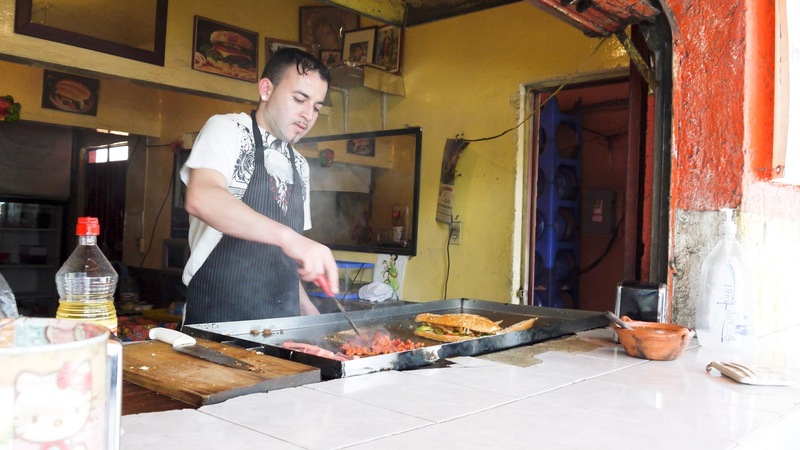 On our last night in Mexico City we wanted to try something different and Trip Adviser led us to Quebracho Condesa located on Alixco street. 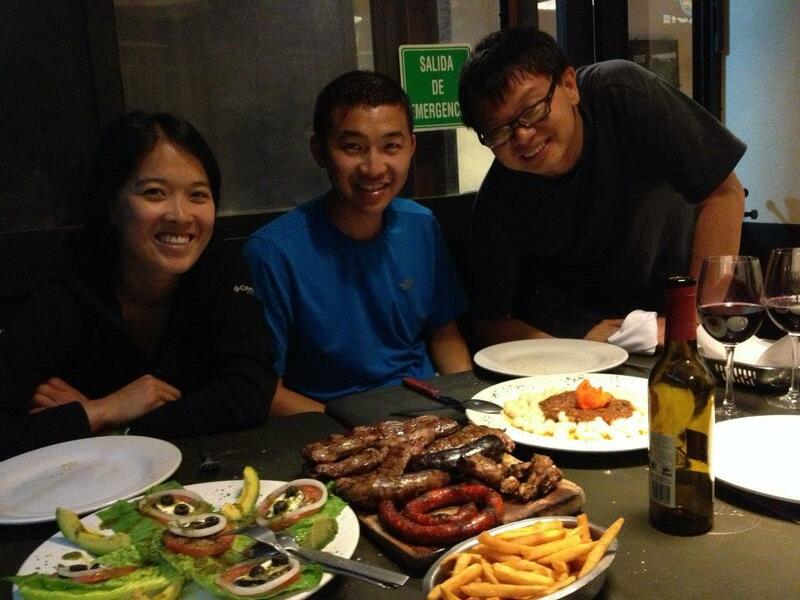 We ordered a huge meat platter, side salad and a bottle of wine and ate like kings. The platter gave us a good variety of meat, it is a great choice for first timers at the restaurant or parties that prefer to eat family style.